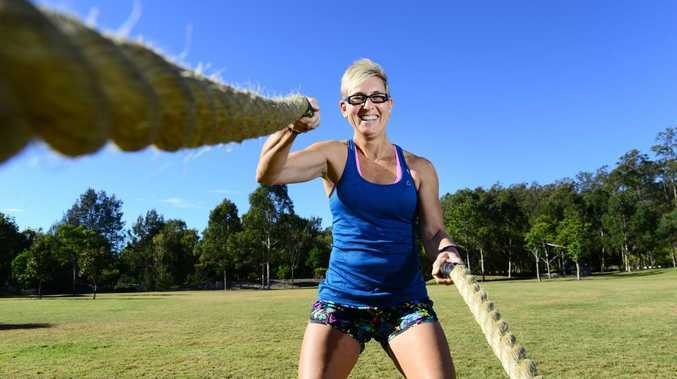 CAMIRA mum Fiona Jensen knows about the struggles of being overweight and the battle to become a healthier and fitter version of herself. But through hard work and perseverance, Mrs Jensen is now in the best shape she has been in her life. In a matter of 10 months, she shrank from a size 16 to a size 8, losing 23kg. "I was never obese but I was heading in that direction," Mrs Jensen said. "Food was starting to mean something more to me than fuel to keep my body going. "I especially noticed this after the birth of my third child, and my eating started to get out of hand. "That was the moment when I knew I had to get healthy for myself and my kids." What followed were countless days in the gym and ensuring she ate only the freshest food possible. Mrs Jensen believes if she can turn her life around for the better, anyone can. She has even studied to become a personal trainer to help those who want to make the decision to lose weight become a reality. "I have been in the same shoes as thousands of other people who all desperately want to lose weight," Mrs Jensen said. We will get a national team, the question is what sport?